There are many different hate groups that exist within the United States with the sole purpose of targeting minorities in our society and alarmingly, their numbers have only been increasing in the last several years. According to data from the Southern Poverty Law Center (SPLC), there are over 900 hate groups that operate in the U.S. who, are extremely active on many different platforms. Their influence and their magnitude will continue to be emboldened if there still exists a vacuum of misunderstanding, misinformation, and anger. As concerned and empathetic citizens we cannot fight this rooted ideology of hate head on, but we must instead meet it with kindness and understanding. We must be able to understand that fear may fuel prejudices and therefore must deepen our commitment to facilitating understanding between one another. Rabbi M. Bruce Lustig is Senior Rabbi at Washington Hebrew Congregation, where he has served for more than 25 years. Along with the daily responsibilities of leading a more than 2,800 family congregation, Rabbi Lustig has long held leadership roles in the local and national Jewish communities. He has served on the Washington, D.C. Mayor’s Faith Advisory Board and as the National Liaison for National Day of Prayer. A committed social activist, Rabbi Lustig initiated Mitzvah Day at Washington Hebrew Congregation, which has become an international model for social justice programming. Rabbi Lustig is a proactive leader of Washington, D.C.’s interfaith community and organized the nation’s first Abrahamic Summit, bringing together Christians, Jews, and Muslims for dialogue. 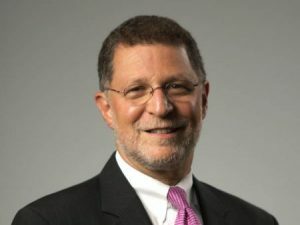 Newsweek recognized him as one of “America’s most influential rabbis.” Ordained at the Hebrew Union College-Jewish Institute of Religion, Rabbi Lustig also holds a doctorate of divinity and a master’s degree in Hebrew letters. He earned a bachelor’s degree with honors from the University of Tennessee. He is the father of two children, Marcus and Eve. Reverend Dr. Beverly Janet Goines, is an ordained minister in the Christian Church (Disciples of Christ). Called to National City Christian Church in Washington, District of Columbia as a Lilly Endowment Fellow in 2003, she currently serves as the Assistant Pastor. Her primary responsibilities include pastoral care, counseling, and worship leadership. She earned a Bachelor of Science degree in Technical Writing from Carnegie Mellon University, a Master of Divinity from Howard University School of Divinity, in addition to a Master of Philosophy in Theology and Religious Studies and a Ph.D. in Religion and Culture from The Catholic University of America. Dr. Goines has also worked in the public and private sector as a technical writer, program manager, and project manager. 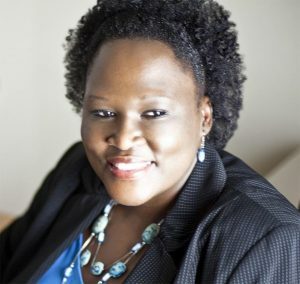 She has experience in the financial services industry, where she earned and currently holds property, casualty, life, and health insurance licenses. Emre Celik, originally from Sydney, Australia has been president of the Rumi Forum for 8 years but has been involved in interfaith issues for over 25 years. 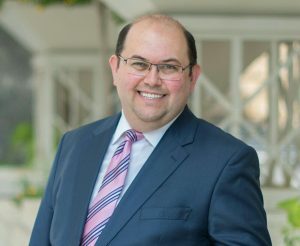 Mr. Celik received his bachelor’s degree in Computer Systems Engineering from the University of Technology, Sydney and then went on to receive a Masters Degree in Teaching from the Charles Darwin University of Australia. Mr. Celik’s involvement in community affairs encouraged him to leave the field of engineering, becoming greatly involved in educational and intercultural projects in the Australian cities of Sydney, Brisbane, and Melbourne. In 2014 he helped organize the first-ever White House reception commemorating Eid-Adha and in 2016 was awarded the UTS: Community Alumni Award from his alma mater. Currently, he sits on the FBI’s Arab Muslim Sikh Advisory Council (AMSAC) and is a Ph.D. candidate at the Centre for Islamic Studies and Civilisation, CSU.